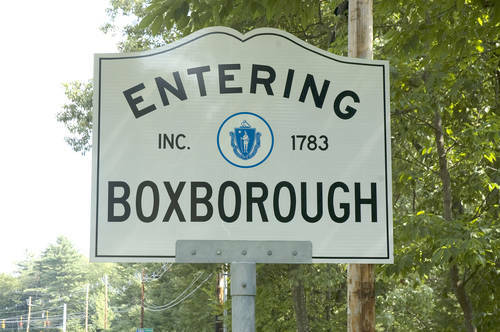 Often known simply as "Boxboro," the town of Boxborough is located at the crossroads of Interstate 495 and Route 111. Due to its easy access to Route 2 and I-495, this small town is only a quick jaunt away from both Boston and Worcester. But don't let its excellent location fool you; this quiet Massachusetts town is anything but big-city. With only 5,000 residents, Boxborough retains much of its small-town, farm community feel. From celebrations like Fifer's Day, the town's biggest event, to venues like Steele Farm, which boasts sledding areas and dog-friendly walking trails, and Flerra Meadows, an outdoor park complete with playgrounds, ponds, baseball fields, trails and more, Boxborough provides plenty of opportunities to get out and enjoy the community. Additionally, the town also contains 14 conservation areas perfect for hiking, biking, running, and other outdoor activities. Sought after by families with school-aged children, Boxborough is part of the Acton-Boxborough Regional School District. A district regarded for excellent education standards, students attend one of six elementary schools, R.J. Grey Middle School, and Acton-Boxborough Regional High School, recently named the number three ranked school in the state by Boston Magazine. Quaint, quiet, and charming, Boxborough offers a median home value of around $550,000, though properties can be found anywhere from the high $80,000s for a small condo to $900,000+ for a sprawling, 4,000-square-foot estate.